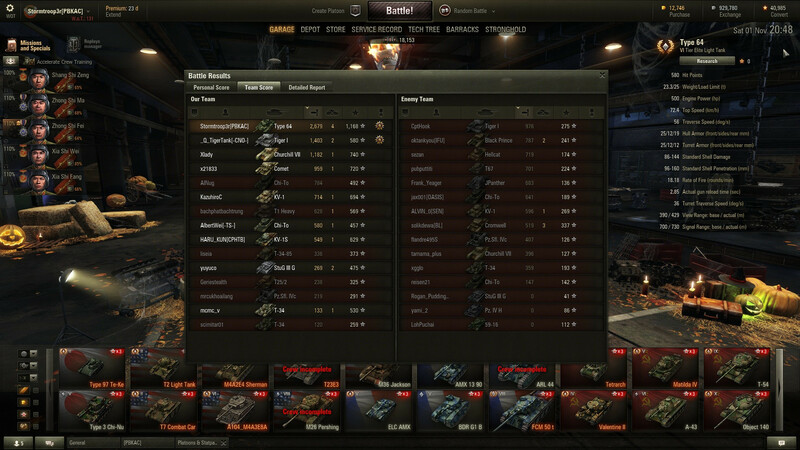 it wasn't a huge carry, but it was a lot of fun, also I love the WN8 value, best metric. Looks like I'll be buying one. WG will be happy with me. When I see Ricko Roller I load GOLD just for the hell of it! That's what they call a self fulfilling prophecy! Fun tonk, when I get a bit more experience with it I might even write a guide for it. Problem is the MM Storm. T7 battles no worries. The rest of the time it can feel very undercooked- although it's actually a fun lil zoom zoom tank to drive. Look at the thread tag. also I love the WN8 value, best metric. Sorry, I believe it's unanimously agreed that spotting is in fact the best metric you baddie. Awesome game dude! Is that a PB on your xp? Nah mate, average spots per battle, anything less than three and you're a stat-padding baddie. 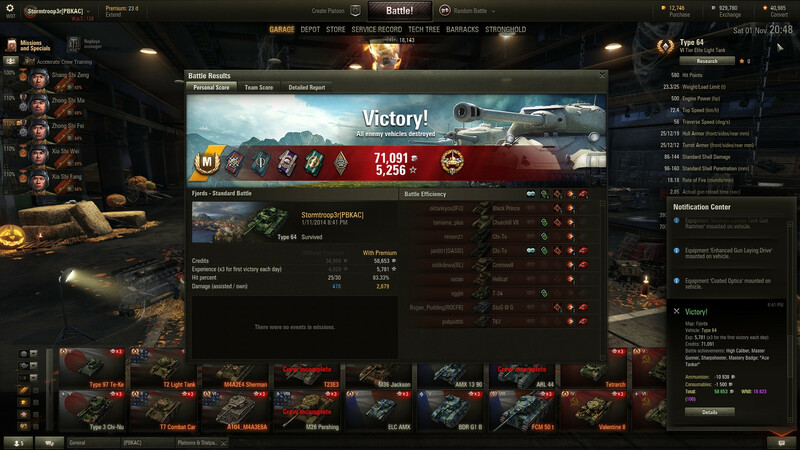 Nah, a crazy game in the Churchill III still holds that record. I also dunno why you waited so long, I bought it right after the patch. Especially now that Chaffee is gone, this thing is the best tier 6 (or 5/6) light tank now. Used to give Chaffee a rival. Does it get prefential mm or normal mm? How does it rate against T37? It's got normal scout mm. Worse gun, better speed, otherwise quite similar, in my opinion it comes down to whichever has a better crew.